Happy aloha Friday!!! I finally had a chance to make something today. I love this cute Hello Kitty bunny die and eggs die. I used a candy/card box svg cut file that I got from Eunice last month. She comes up with some amazing projects and makes them into cut files. You have to check her blog out. 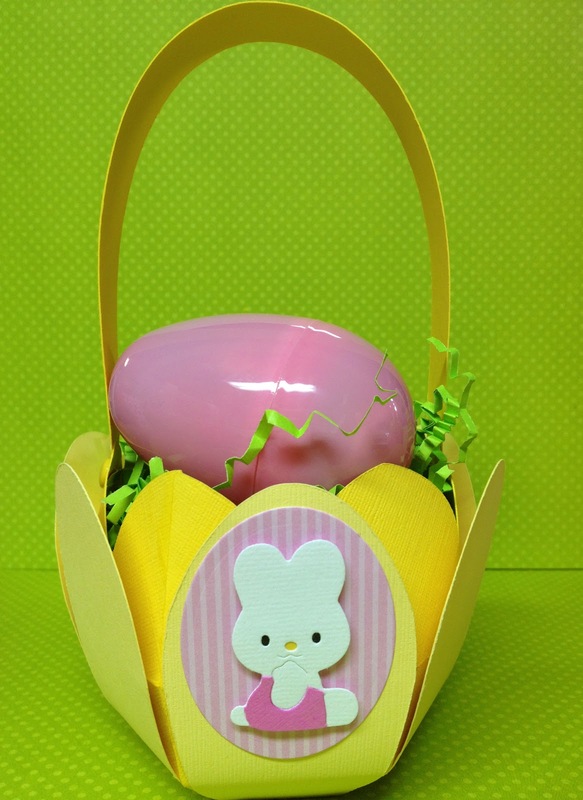 Well, hope you have a great Easter holiday weekend and thanks for stopping by today!!! Sorry such a short blog post but I have to finish up some paperwork before tomorrow. While I was at home recuperating two weeks ago, I spent some time cutting and gluing these Easter baskets together. My craft room is finally looking so much better but I could use more space. 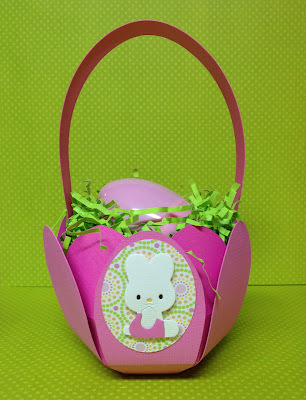 To cut these baskets, I used my Eclips machine and bought a cut file from SVG Cuts. In fact, I bought a bunch of cut files. Lol! 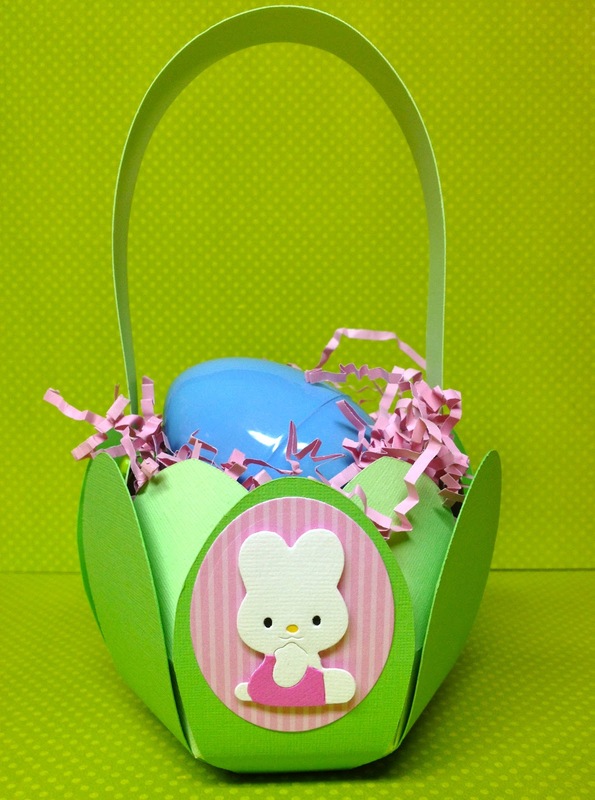 I used Kathy bunny from an old Hello Kitty deco strip die. It was quite fast and easy to put her together. 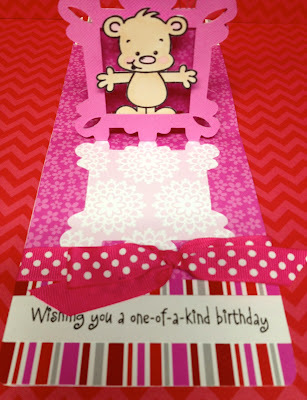 I love this solid cardstock that I bought from Ben Franklin Crafts awhile ago. It was such a great deal and tons of paper in the pack. Very nice quality paper. And a yellow. I wanted to make a purple one but couldn't find the right purple colored paper. Now I have to finish wrapping them up and they will be all ready to go. 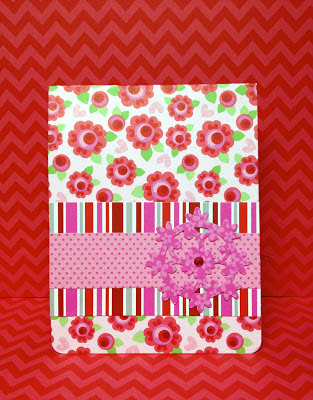 I'm going to be at Ben Franklin Crafts Market City this Saturday doing a really cute make & take from 10:00 - 11:30 am. Hope you can make it down for the celebration! Thanks for stopping by and hoping to see everyone this weekend!!! Hi there and Happy Girl's Day!!! I know it has been awhile since I last posted (Dec. 2012) and I have been trying to catch up with everything since we came back from CHA which was back in January. Anyways, to make a long story short, I ended up in the ER last week Monday and stayed in the hospital for 3 days. My husband and I went for our normal exercise (fast walking) and about a third of the way, my heart started to beat rapidly so I sat down to wait it out. Then we continued on and I had to sit down again. I don't even know how I made it back to the car but when we got to the Ward parking lot, I almost passed out and pretty much laid on the ground and told my husband that I needed to go to the ER. We went back home and he told me that he will take me to the doctor. Well, I couldn't even walk and so they put me in a wheel chair. I took an EKG and my doctor said that I needed to go to the ER right away! I had this heart monitor attached to my body for 3 days. They wouldn't let me take a bath or walk around the room. The doctor gave me meds to slow my heart down so that is what is helping me now. I still have to take more tests to find out what is wrong with me. Back in January, I taped the Joy of Crafting tv show with Joy. Here is a photo of the project that I made for the show. 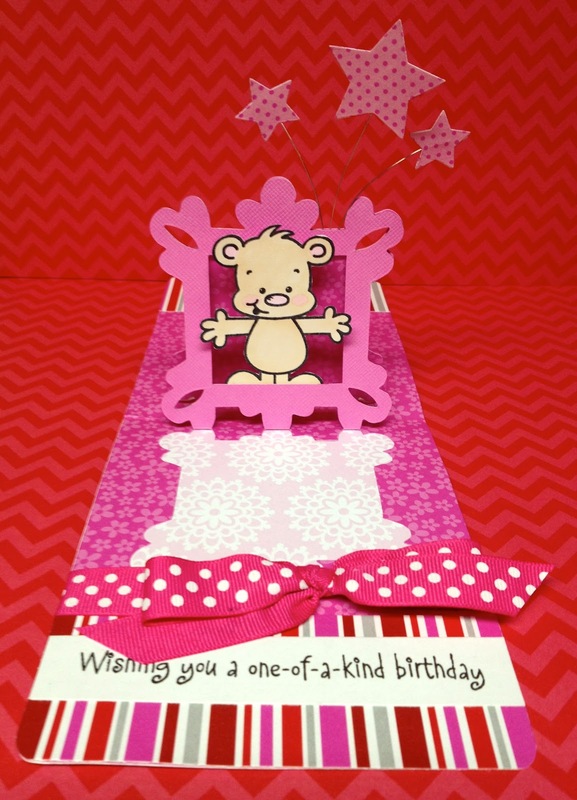 I used Karen Burniston's pop 'n cuts base die and the square ornate frame magnetic die to make this card. 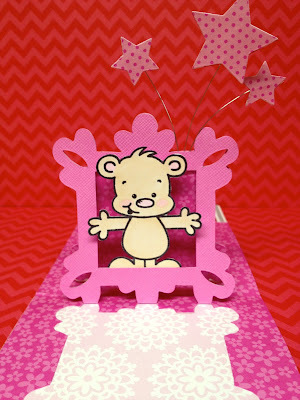 The stamped bear is from Dandelion Designs called bear hugs. 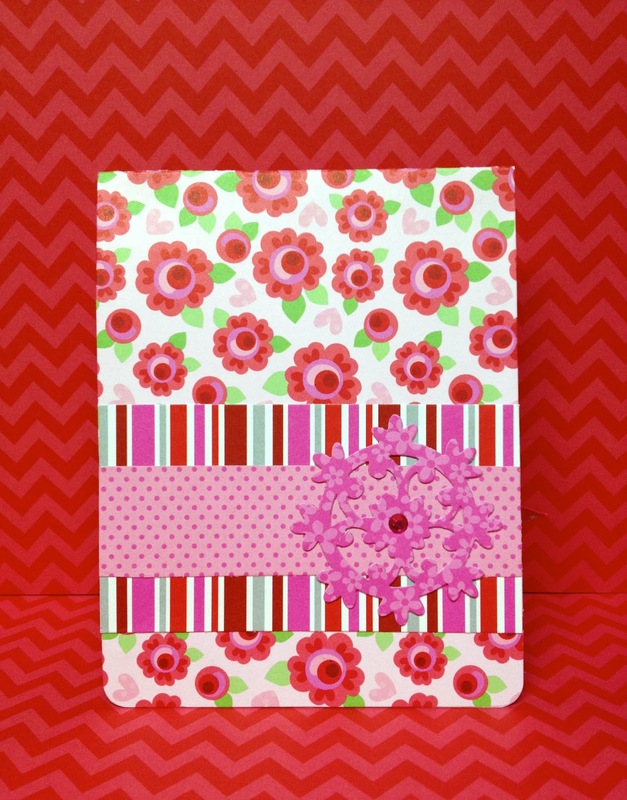 Paper used is from Doodlebug Designs and Ben Franklin Crafts had the whole collection. I'm not sure what is left, but this is actually from the Valentine's collection but you can't really tell right? The last photo is the front of the card. I used all the scraps to decorate the card. Sorry I've been away for so long but I'm glad you stopped by and look forward to getting back into posting again.